Divorce and child custody are one of the most complicated processes you can experience. We are certainly an advocate of NOT representing yourself but hiring a good lawyer. 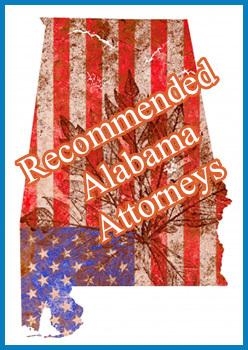 Below are list of Alabama father lawyers and attorneys. Alabama custody law can be complicated. For example: According to DumbLaws.com, incestuous marriages are legal, but boogers may not be flicked into the wind. It is illegal for a driver to be blindfolded while operating a vehicle and dominoes may not be played on Sunday. If you happen to be a family custody attorney or an Alabama Father Lawyer and you want to be listed please click here to learn more.